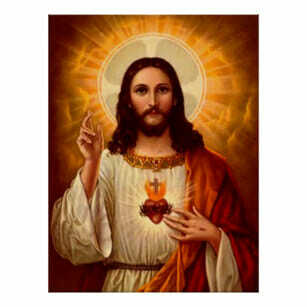 Enthroning the Sacred Heart of Jesus is a way to continue on your spiritual journey. The Enthronement is a way to increase your love and devotion for Jesus and bring abundant graces upon you, your family, your friends, and all aspects of your life! You can enthrone the Sacred Heart of Jesus in your home, office, over your vocation, over your business…allow Jesus to be King and Head of your life!